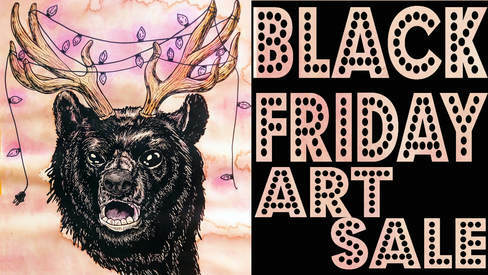 Skip the chaos of the mall and the mass production of manufacturing and plan to make the Black Friday Art Sale, your one stop shop for all your holiday gifts. Local artists will set up pop-up shops inside the LAL's Loudoun House. LAL is delighted to feature food/drinks and cookie decorating with Sweet LiLu's, beer provided by West Sixth Brewing, carols from our friends at Lexington Children's Theatre, music from DJ Leeroy, and much more to come!